Remembering our favorite gal on what would have been her 104th birthday. 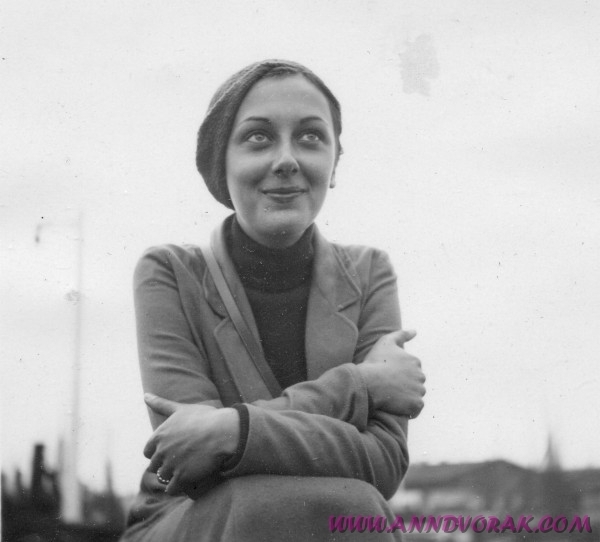 Here’s a pic of Ann during her 1932 European honeymoon with Leslie Fenton from her personal scrapbook. Well, the Universe led me to check in on this particular day of all possible days…Happy Birthday Ann, you live on!!!!!!!! And around 5 minutes after I posted this. Ann has a hold on all of us! Hi Robert, I assume you’re referring to the “Biography” page on this website, which is more a bullet-point rundown of Ann’s life. Ann and Nick did do all of those things, so they’re not untrue, but they’re relationship and its fallout for Ann are far too complex to discuss on the Bio page. Fortunately, the book does provide and in-depth account of their marriage and Ann’s final years. And yes, she did die of stomach cancer. Thanks for reading!